Planning to rent out your property to tenants? Before renting a property it is important for any landlord to go through a tenant screening process thoroughly to collect as much as possible information. Good information about your tenant can help landlords stay away from several grievances, disputes and all. For carrying out such a screening process Application Forms will help you get the most information about the tenant. Check out below listed various rental application forms and download the suitable one. 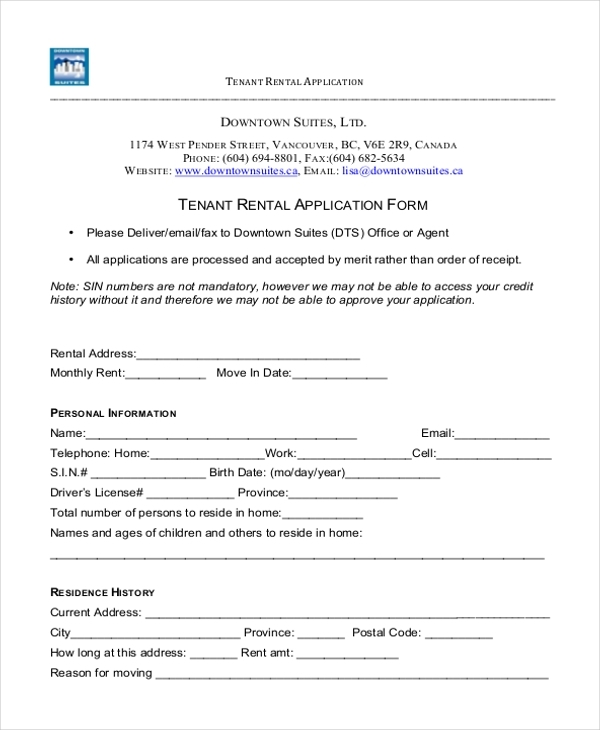 Here are the perfect tenant Rental Application Forms that you can utilize to get several important sets of information from the tenant. This form consists of many columns for tenant information, contract details, contract amount and more. Are you renting out your commercial property? 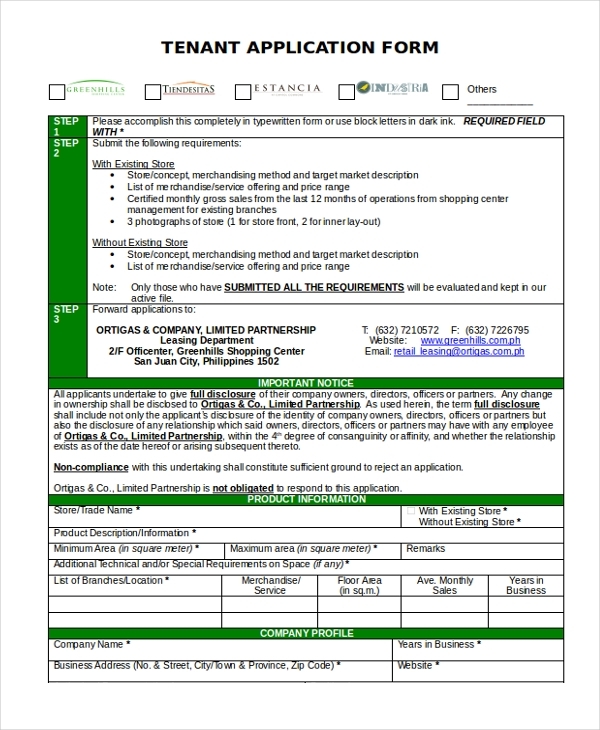 Utilize this commercial tenant application form while screening your tenant so that most information about him/her can be found. Get this form customized as per your requirements. 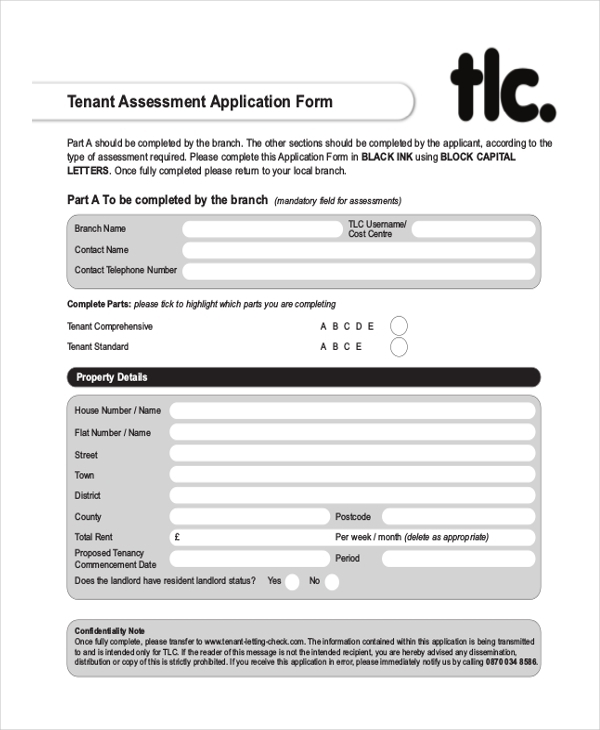 Here is another landlord & tenant application form ideal for both landlords and tenants. With this form a tenant may grab all information about the rental property and a landlord may grab personal details about the landlord. You may also see Passport Application Forms. Need to get housing allowance from your department? Here is the housing allowance application form that you can use to provide necessary information to your department and thus become eligible for getting a housing allowance. Find out whether a particular person or family would be suitable for you as a tenant or not with this tenant assessment application form. 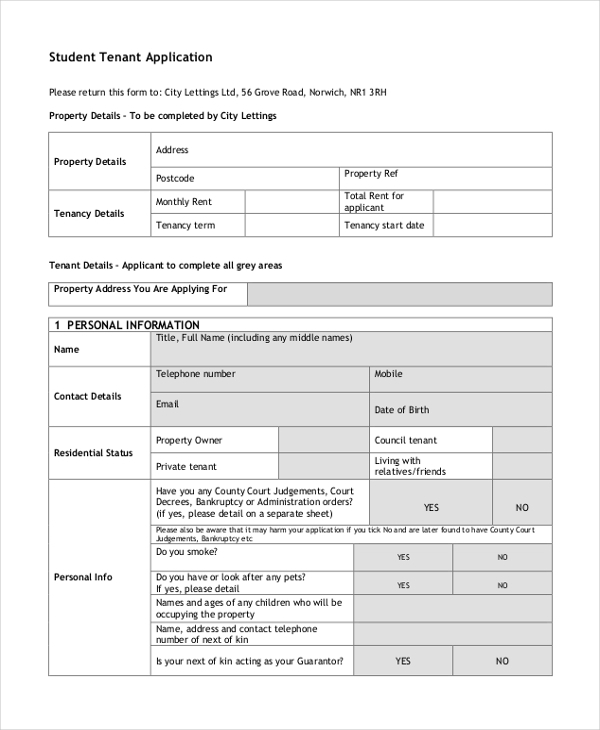 This form will help you collect the most information about the tenant and carry out a perfect screening. You may also see Employee Application Forms. Get this word based tenant application form downloaded online and collect the most crucial information about the tenant like name, permanent address, vehicle information, employment details and more. Download now. Are you finding the right type of tenant for your property? 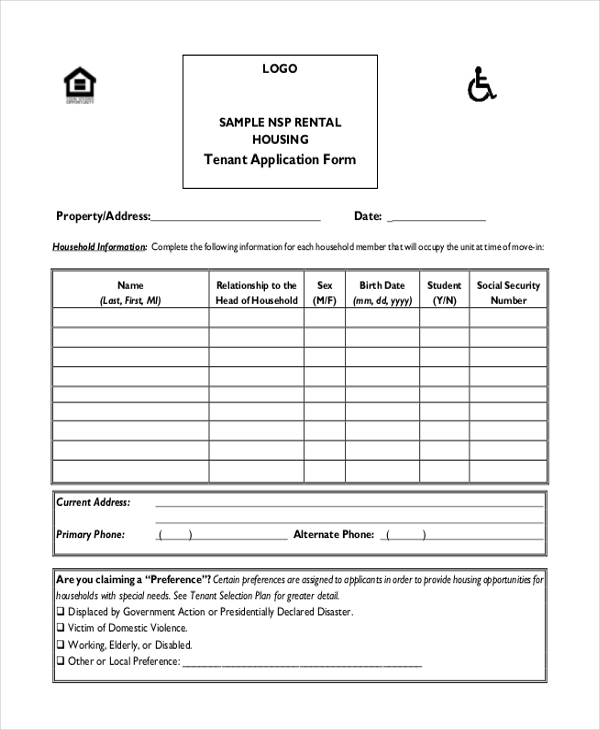 Check out this rental housing tenant application form and utilize to interview your tenant. This way you can find a suitable tenant for your rental property. 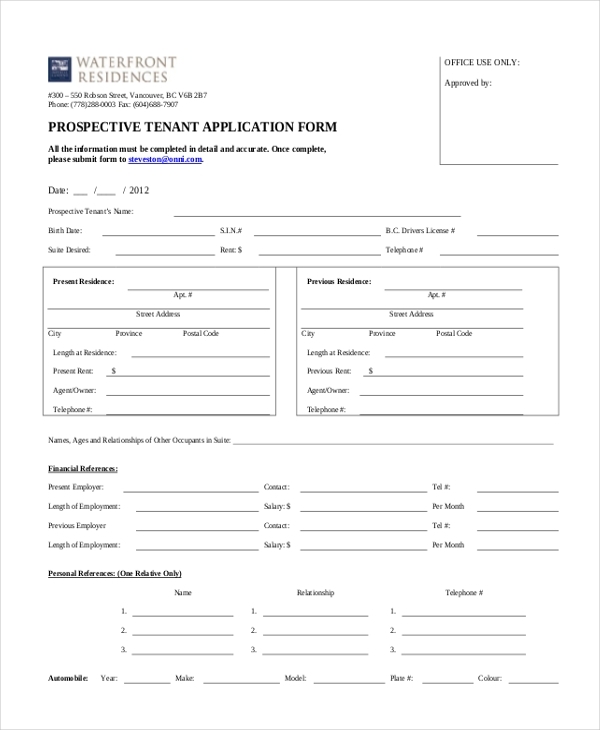 Here is another student tenant application form ideal for screening of student tenants. This form can help landlords grab complete information about the students and then offer the property to a suitable student for rent. Are you trying to file a dispute with your landlord? 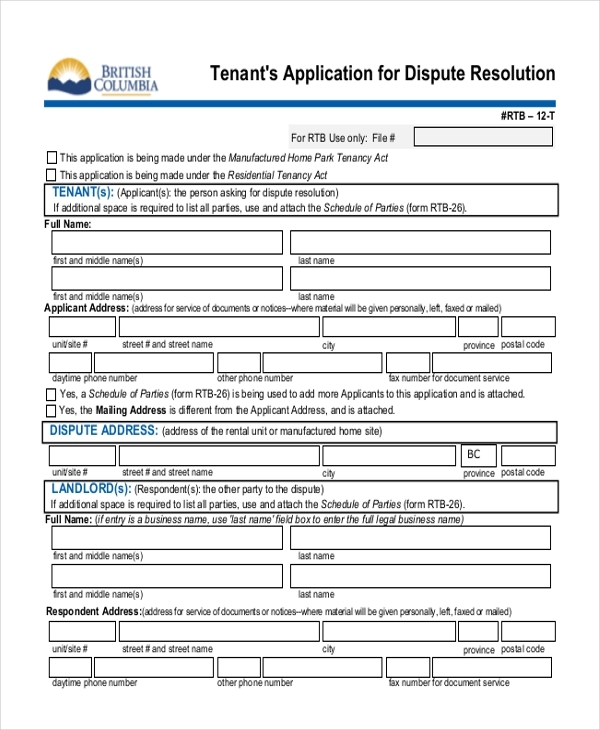 Here is the perfect dispute resolution application form for a tenant that can help you to explain your side and thus put a solid effort to resolve the dispute. 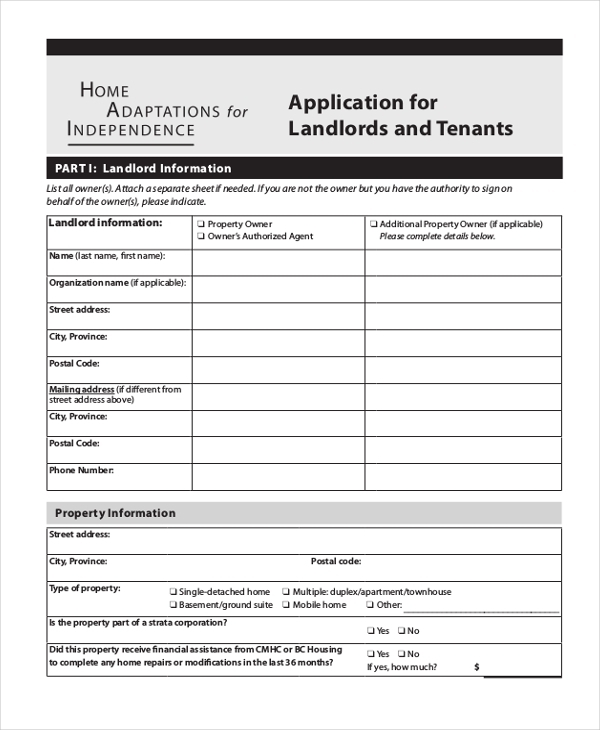 Check out this prospective tenant application form and download to provide necessary information to your landlords about you. This form sample can be customized easily as per your personal requirements. 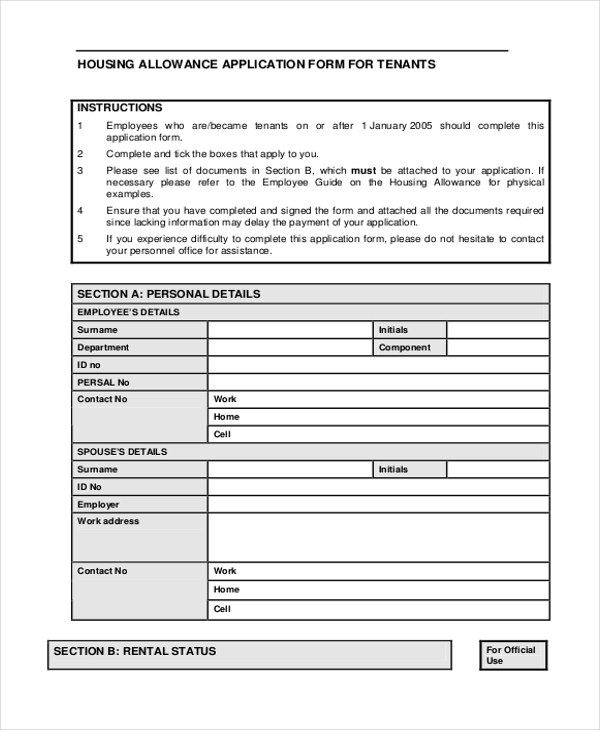 How to Use these Housing Application Forms? Here are a few tips for all the landlords planning to rent out their property for finding the right type of tenant. Verify all the information that you received on a tenant application form. You can check references of the other landlords provided as well as previous employment details provided by the tenant on the rental application form. If the advanced payments are made through personal check then make sure that check gets cleared before you hand over keys to the tenant. Make sure to create a good rental agreement and get it signed by the tenant before allotting your property to him/her. Why is a Housing Application Form Required? A housing application form is required to be filled by the tenant or the person applying as a candidate for a rental property. This form can be a response to an ad published by the landlord for renting out his/her property. Housing application forms can be of several types like rental application form, housing allowance application form, tenant dispute resolution form, student rental application form or more. This form needs to be submitted to the landlord after which he/she verifies all the details about the tenant and finalizes the appropriate candidate as a tenant. Therefore a good tenant application form filled with honest details, good previous rental references, employment details and more can help tenants to find a good rental property. You may also see Medical Application Forms. Whether you are a tenant or a landlord you might require a perfect Housing Application Forms to rent out your property or win a perfect property on rent. Then go through the above-listed formats and get the suitable one downloaded instantly online. These forms are highly easy to customize and manage.